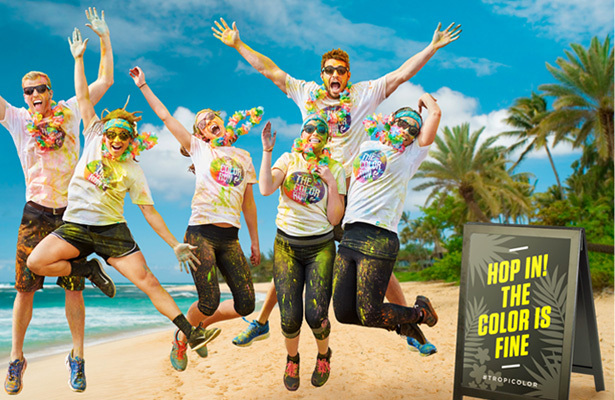 Meet at the start line and we'll take care of the rest. 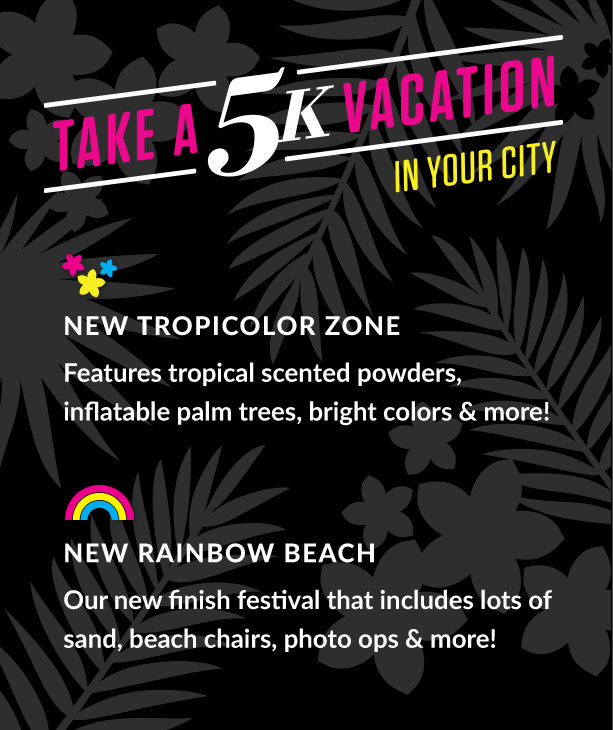 The Color Run Tropicolor World Tour 2016 is bringing a 5k paradise straight to your city with a sweet Tropicolor Zone on course, all-new Rainbow Beach at the Finish Festival, and a fresh island-style participant kit. WANT THE LATEST UPDATES? JOIN OUR MAILING LIST! Enter your information below and we will email you the latest updates regarding the event.